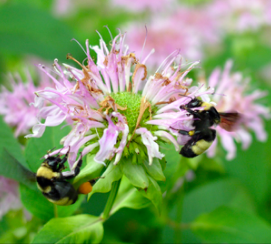 If you wish to target bees, then consider native Monarda fistulosa (wild bergamot). If you need convincing, click on the image below to watch this video recorded in late June 2016 at the Glencarlyn Library Community Garden in Arlington, Virginia. 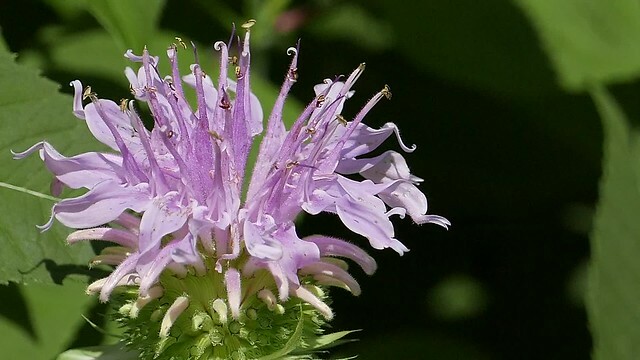 Besides a myriad of bees, wild bergamot flowers attract syrphid flies, parasitic wasps (which prey on garden pests), skippers, and ruby-throated hummingbirds (although they prefer the red Monarda didyma). Its leaves host larval forms of the orange mint and hermit sphinx moths. Its seed heads appeal to small birds. If you would like to learn more about its attributes, growing conditions and maintenance, refer to Tried and True Native Plant Selections for the Mid-Atlantic. 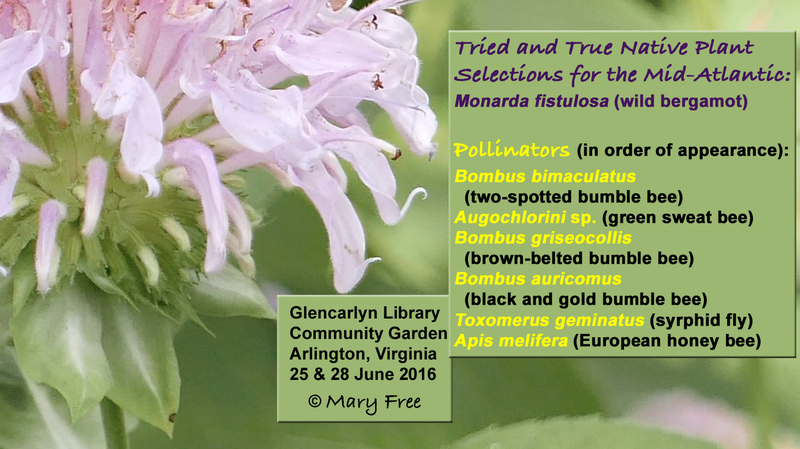 This entry was posted in MG in the Garden, Pollinators, Tried and True Native Plant Selections for the Mid-Atlantic and tagged black and gold bumble bee, brown-belted bumble bee, European honey bee, glance, green sweat bee, Mary Free, Monarda fistulosa (Wild Bergamot), pollinators, syrphid fly, two-spotted bumble bee, Video. Bookmark the permalink.